Roxanne and I welcome you. Continuing our commitment to teach our customers different classes we are certified to teach 5 additional DAN classes. Clay has written and teaches PADI Public Safety Diver Full Face Mask Course. 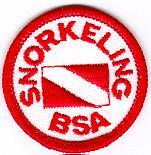 Underwater Metal Detecting Course. She also teaches Underwater Archeology. Effective January 1, 2006 we now require a $200.00 security deposit on equipment rental. Your deposit will be refunded if the equipment is returned in the same condition as it was rented. Clay & Roxanne Dewyea welcome you to stop into the shop. We are a full service dive shop and offer a full range of dive gear, air fills and service on various dive gear. 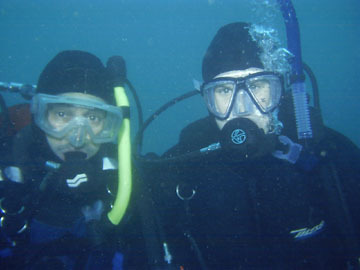 We are both NAUI and PADI instructors and can offer a full range of NAUI and PADI courses. If you've been in before please come visit again. Haven't been in before please stop in and say hello. Monday - Friday 2-8 P.M.
A letter from one of our customers. I just wanted to say hey and thank you all the time and care you’ve given me. I had a great time this weekend. I can’t say enough how much both Deb and I appreciate you and the work you’ve done with us. As you well know there are several dive shops around and we lucked out picking your shop to work with. Between the care, training, excellent products and knowledge you’ve supplied us with you made this a very nice experience. Both Clay and you represent PADI dive instructors very well and this afternoon I wrote a letter to PADI letting them know just that. In my book, if there was a sixth star, you guys should have it. You’ve provided me personally with a new hobby that feels like a something more then just a new pastime. From how you introduce people in the shop, to the care you give while explaining the products, it all means a lot. It’s rare to find people that care beyond the dollar signs. I just wanted to let you know that I appreciate that and you both. So along with gaining to new customers, you’ve gained two new friends.